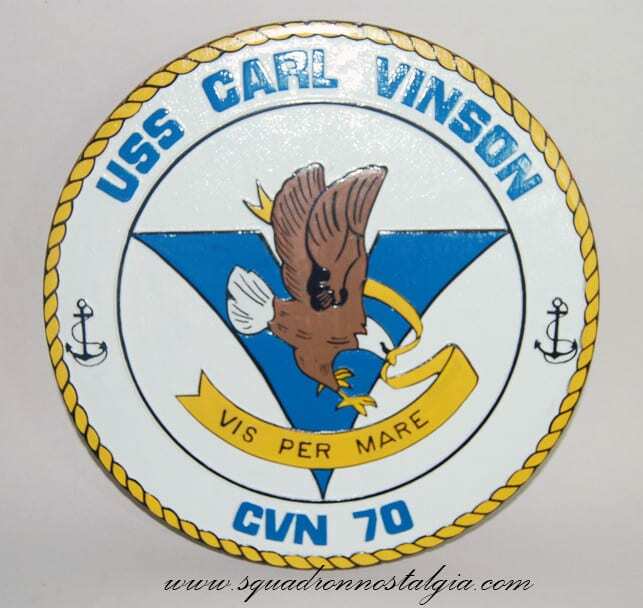 A carefully carved and painted wooden plaque of the USS Carl Vinson (CVN-70). 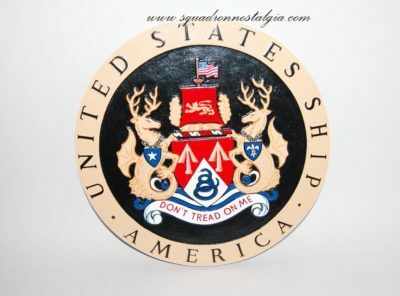 The plaque measures 14 inches. 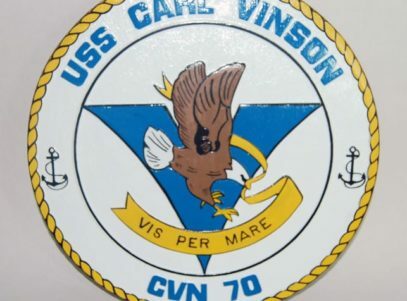 Carl Vinson’s service in the House of Representatives exceeds that of anyone elected to the Congress of the United States since it first convened in 1789. 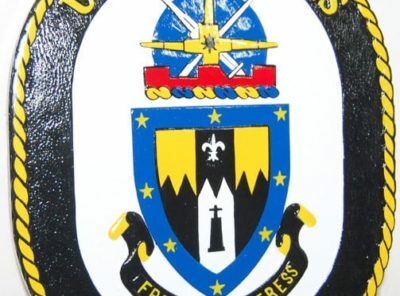 During his unparalleled tenure of fifty years, he also completed a record-breaking twenty-nine years as Chairman of the House Naval Affairs and Armed Services Committee. In that position, Congressman Vinson forged and moved through Congress the landmark Vinson-Trammel Act which provided authority for the eventual construction of ninety-two major warships, the birth of the two-ocean Navy. From Capitol Hill, he also guided the establishment of a separate air academy and the launching of the Navy’s first nuclear-powered submarine. 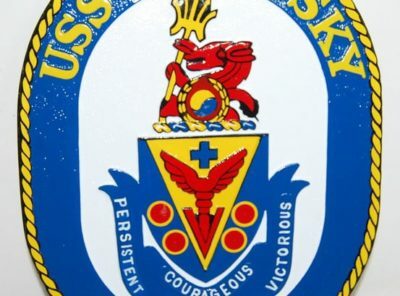 Stating that, “The most expensive thing in the world is a cheap Army and Navy,” Congressman Vinson became a powerful force in the growth of America’s land, sea and air forces. 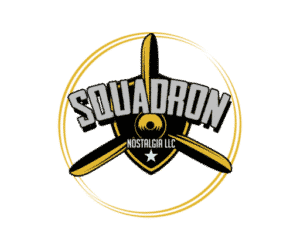 His skilled legislative abilities assisted in the creation of the Army Air Corps, the improvement of aviator and aircraft procurement, and the pre-World War II expansion of the Navy’s air arm. Few men in American history have made so profound an impact on the nation’s defense. 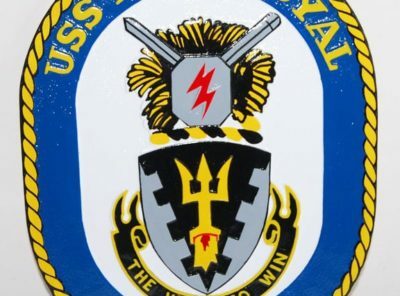 The crew of this aircraft carrier is proud to serve on the ship that bears his name and proud to honor his outstanding service to the United States of America. 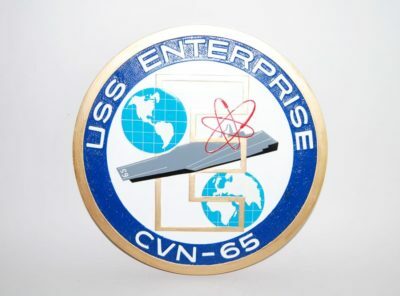 USS Enterprise (CVN-65) Sail again with the crew of the USS Enterprise (CVN-65) with this handcrafted plaque. Each piece is carefully carved from wood and handpainted to provide a piece you’ll love. 14 inches. 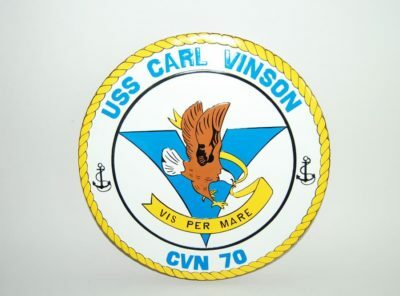 USS Carl Vinson (CVN-70) Plaque Sail again with the crew of the USS Carl Vinson (CVN-70) Plaque with this handcrafted plaque. Each piece is carefully carved from wood and handpainted to provide a piece you’ll love. 14 inches. 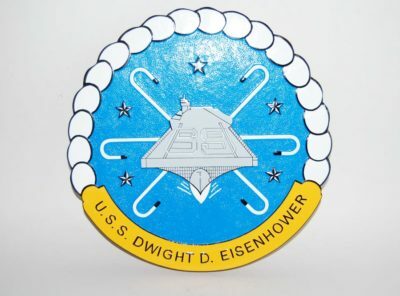 USS Dwight D Eisenhower (CVN-69) Plaque Sail again with the crew of the USS Dwight D Eisenhower (CVN-69) Plaque with this handcrafted plaque. Each piece is carefully carved from wood and handpainted to provide a piece you’ll love. 14 inches. 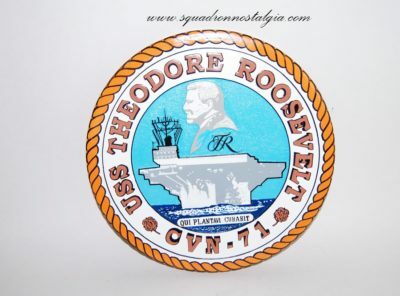 USS Theodore Roosevelt (CVN-71) Plaque Sail again with the crew of the USS Theodore Roosevelt (CVN-71) Plaque with this handcrafted plaque. Each piece is carefully carved from wood and handpainted to provide a piece you’ll love. 14 inches.